The verdict in the case of Ukraine's political prisoner Roman Sushchenko may be announced in June - at least how lawyer Mark Feygin put it. Sushchenko's defender said this in his commentary for 112 Ukraine TV channel. On May 28, the Moscow city court will hold the session, where Suschenko will turn to the jury with the allocution. Meanwhile, Sushchenko's lawyer does not rule out the chance that his defendant will be exchanged for RIA News agency director Kyrylo Vyshynsky, charged with state treason in Ukraine. Ukrainian Roman Sushchenko, the reporter of Ukrinfiorm news agency, was detained in September 2016 in Moscow, and accused by the FSB of espionage. For this he faces 20 years in prison. 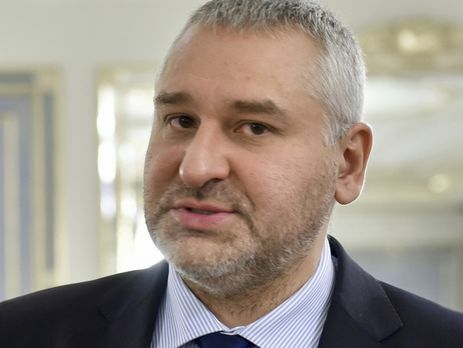 Earlier, the Security Service of Ukraine (SBU) reported that Kyrylo Vyshynsky, a director of RIA Novosti news agency, is now officially suspected of state treason. Olena Hitlyanska, the press secretary of the SBU posted that on Tuesday evening. 'Kyrylo Vyshynsky, the leader of propagandist anti-Ukrainian information portal 'RIA Novosti Ukraine' is announced as a suspect in the crime. He is detained under the Article 208 of Ukraine's Criminal Procedure Code. The criminal case was initiated under the respective article of the Criminal Code (state treason)', Hitlyanska wrote. As it was reported earlier, the officers of the Security Service of Ukraine (SBU) and the Prosecutor's Office of the Autonomous Republic of Crimea has exposed the network of the media entities controlled by the Russian Federation. The law enforcement bodies hold the investigative actions at the office of RIA News-Ukraine.